The Vietnamese economy has been touted as a major beneficiary of the US-China trade war as companies are reportedly relocating factories to Vietnam to rebuild their supply chains. Whether the Southeast Asian country can replace China to become the next "world's factory" has become a hot topic of discussion. Vietnam's GDP grew 6.79 percent in the first quarter of this year thanks in large part to the growth in its processing and manufacturing sector. Though its economic growth rate slowed from the 7.31 percent gain in the previous quarter, the country is still likely to be the fastest-growing economy in Asia during the period. In the past, Vietnam attracted capacity transfers from many manufacturers in textiles, garments and other low-end industries that have fled China over the past decade due to rising labor costs. In 2010, Vietnam surpassed China for the first time as the leading producer of Nike shoes. Now against the background of the trade war, the Southeast Asian country seems well poised to become a new regional manufacturing hub across a variety of sectors. In order to bring high-tech manufacturing back to the US, the Trump administration has taken a series of actions, including initiating the trade war with China, to reshuffle global supply chains. Multinational companies have also been moving their operations to countries with lower costs, such as Vietnam, partially under the cost pressure caused by US tariffs on Chinese exports. With geographical proximity to China, Vietnam boasts the largest industrial manufacturing system in Southeast Asia. A young population and low labor costs also add to its appeal to multinational companies. As international electronics giants are relocating to Vietnam, the country is set to become the new manufacturing center for the global electronics industry. In 2018, South Korea's Samsung and Japan's Olympus closed their respective factories in Shenzhen, South China's Guangdong Province, and transferred their operations to Vietnam. Samsung has already invested billions of dollars in building a grand manufacturing base in the Saigon High-Tech Park in Ho Chi Minh City. The park has also received heavy investment from other high-profile tech giants like Intel, Schneider and Jabil. Moreover, in 2015, Microsoft moved its Nokia manufacturing from Beijing to Hanoi, the Vietnamese capital. Many observers often cite low labor costs as a major factor behind Vietnam's growing appeal to multinationals. The labor costs in Vietnam are generally about one-third to one-quarter of those in most areas in China, representing a significant advantage for labor-intensive manufacturing industries. However, these observers often overlook other key factors attracting global manufacturers, such as a young population, the country's proximity to China, a supportive policy environment and solid economic growth. Moreover, China's industrial upgrading and transformation have also played an important role in facilitating the transition of manufacturing work to Vietnam. As China accelerates its steps in moving into medium and high-tech manufacturing due to rising labor costs, low-cost manufacturing will inevitably flow to Vietnam and other economies. While the question of whether Vietnam can replace China to become the world's next top hub for low-cost manufacturing has caused a clamor, it remains unrealistic to expect Vietnamese manufacturing to completely replace Chinese manufacturing. Despite the distinctive advantages in attracting foreign manufacturers, there are still limitations to Vietnamese production. To name just a few, the Southeast Asian country's industrial and supply chains can't be compared to China's in terms of both completeness and comprehensiveness. After years as the world's factory, China has developed the most complete industrial and supply chains in the world, with thousands or even tens of thousands of suppliers available for manufacturing sophisticated products. And Vietnam is still far from having such a foundation of suppliers. Moreover, China's infrastructure - including roads, ports and other logistical support - also outperforms Vietnam's infrastructure, which is equivalent to that of China's decades ago. In short, because of the industrial chain problem, it is basically impossible for Vietnam to completely take over China in terms of manufacturing capacities. There is no need to panic about the current manufacturing shift to Vietnam, which is totally normal, and inevitable, in the market economy. Yet, it is worth noting that the biggest concern in the production transfer may be the unemployment problem. 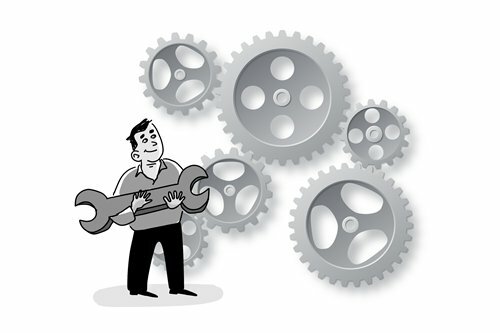 Some experts believe that since all industrial countries have experienced similar situations in the course of their development, China can also pull through it. Nevertheless, the difference for China lies in the fact that its working population is just too large. That should be the main issue deserving attention and caution during the transition.